If you are a blush lover, there's no way you're gonna let go of the N.Y.C Blushable Crème Sticks. They are cheap as chips ($3.99), look uber cute and come in a variety of flattering shades. The quality is amazing and they go on so smooth. "Berry New Yorker" is a deep berry that looks more like a dusky rose and leaves a natural looking flush. This shade has no glitter/shimmer and leaves a gorgeous cream finish. I find this shade to be the best looking on medium to dark skin tones. On ligher skin tones, it may look a tad too dark but, its always easy to tone it down since, this one is super blendable even on the driest of skins! Since this blush is so pigmented, its easy to go overboard and end up looking clowny. With these, a little swipe goes a long way. I like blending them with my fingers, as brushes make it look kinda streaky. The packaging is also pretty cool to travel with although, the plastic casing looks like cheap quality to me. But hey, for $3.99, I ain't complaining much. The only downside is that it does not last that long. Maybe three hours and after that it's totally gone. So, I usually set it with a translucent powder or top it off with a powder blush. Either of them work fine. These are definitely one of the best, travel-friendly, inexpensive drugstore cream blushes I've tried. In a pinch, I have even used this as a lipstick :-) and wouldn't mind trying a color or two more. 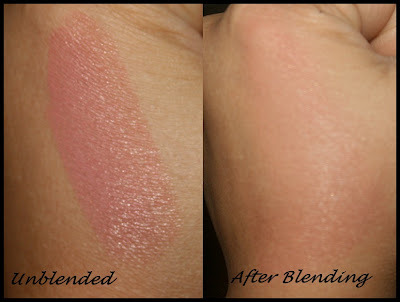 Have you tried N.Y.C Blushable Crème Sticks? Are there any good shades you recommend I try? I'd love to know! Wow, this looks so pretty!! I want, I want, where do I get this from?? Thanks for dropping by :) Hope you enjoy the blog! Thanks! You could try e-bay. I have seen sellers having these...Will put up a link here :) Hope you get to try it sometime! 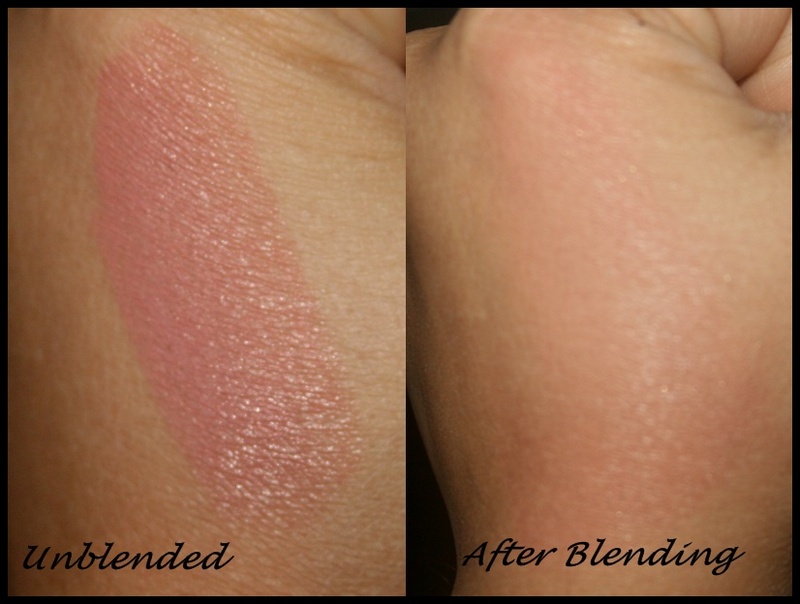 This blush is amazing and so comparable to so many pricier options :) I'll definitely put up a link from e-bay. hey this 1 looks so gorgeous and tempting.. I have two from their summer collection, a raspberry pink and a coral...they were pretty nice (if they don't dissappear on me right away) and I actually a bit bothered now I can't find the coral one. Awww,that's bad you cant find the coral :( Raspberry pink sounds nice for summer :) This one seems to be a fav. amongst a lot of people!! !